10 Stunning corporate event themes for you to host that really will wow your team! If you're looking for stunningly beautiful and fun corporate event themes, then oh boy, have we got a wonderful line up for you! We can host our event themes at any venue you'd like, for any size of group (seriously, ANY size group) and anywhere in the world. Don't be fooled into thinking that the ten themes are the only ones we have, we have a seriously cool and creative team that just loves the challenge of creating new event theme ideas specifically for you! So, let's take a look at just 10 of our suggestions or if you'd like to dive right in and talk to the party experts then give us a call on 0800 083 1172. We recreate corporate event themes at any venue, for any size group...anything and any theme is possible! 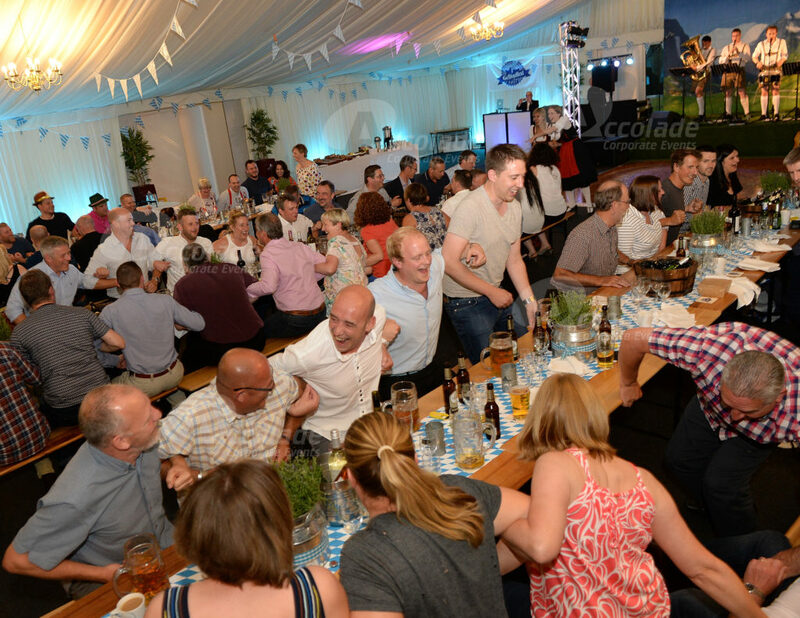 German Beer Festival - Yes, that's right, we bring our Oompah band, Frauleins, long tables and even a life size cow to your venue and recreate the fun and atmosphere of Oktoberfest - forget Munich, your company party is where it's at this year! Back to the 80's - Ra ra skirts, shoulder pads, Duran Duran and Rubiks cubes all feature in this fantastic 80's themed party. Pop on your oversized sunglasses and your neon necklace and get ready to party! Viva Las Vegas - Your company is in the building! A beautifully themed evening with all the thrill of the casino and just make sure you're ready to strut your stuff on the dancefloor! Winter Wonderland - You can't over look the Winter Wonderland if you're organising a Christmas party, perfectly timeless with snow machines, ice sculptures, Christmas trees, stunning entertainers and an evening not to be forgotten. Back to School - A brilliant walk down memory lane as your company goes back to school! Expect to see all the familiar places, the tuck shop, the classroom, the games room and of course the science lab concocting some weird and wonderful cocktails! Wild West - Yeeha! Giddy up cowboys and cowgirls, ya'll need to get yourselves down to the saloon where our entertainers are waiting for you and why not try a little biy of good ole line dancing? The Live Lounge - this is a relaxed, earthy theme, with our live acts performing in a remarkably chilled out club atmosphere - why not try out our bandeoke and really stun us with your talents? The Cruise Ship - All aboard! Our captain will make sure that everyone feels like they are on the top table as this stunning theme recreates the grand ballroom of a cruise ship - this really is your ticket to a perfect evening! 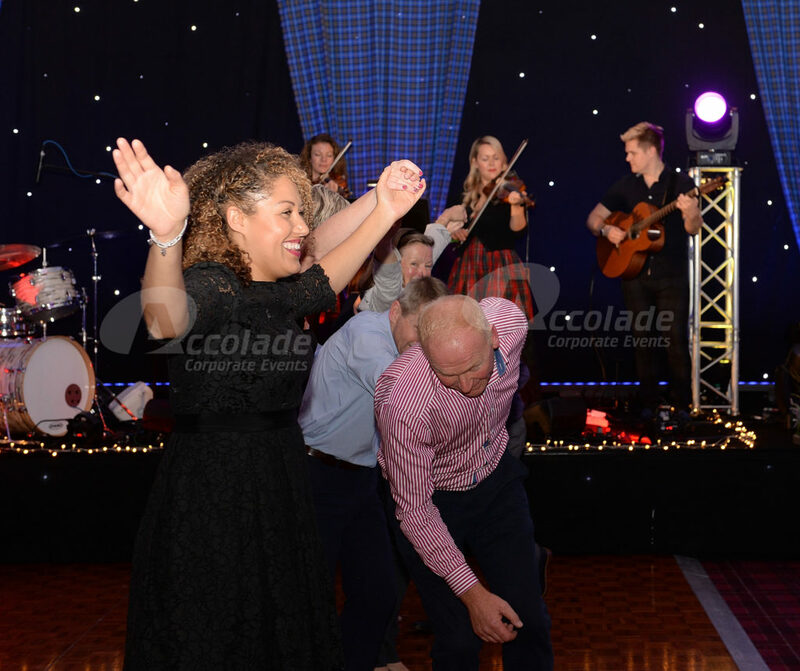 Scottish Gaelic Gala - All the right ingredients for a traditional Scottish themed evening, from bagpipes to Ceilidh band and whiskey tasting, we transform your venue into a little piece of Scotland. Like the sound of these corporate event themes? Well we've got more! And what's more is that we thrive on a challenge, so if you've got your own event theme idea and want to know if we can help you then pick up the phone and let's talk 0800 083 1172.